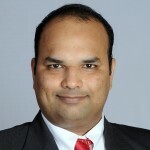 Amresh Deshpande is an Associate General Manager in Schneider Electric’s Energy Efficiency Team in India. He works in the areas of energy efficiency initiatives, policy and implementation measures. Particularly, he is working in the areas of building energy efficiency and sustainability practices in corporations. Amresh holds an MBA from the Indian Institute of Management, Ahmedabad, and a Master of Science in Construction Management from the University of Illinois at Urbana Champaign in the United States. Amresh is a USGBC- LEED Accredited Professional and a Certified Energy Manager. He has a keen interest in the areas of sustainable development, particularly green construction practices. He brings close to a decade of experience in the design and management of municipal, retail and office projects both in the United States and India. Prior to joining Schneider Electric, he was associated with organizations such as Jones Lang LaSalle and C B Richard Ellis where he led projects for new building construction and office fitouts. He has experience in design for new LEED-rated projects and retrofit of existing buildings as per LEED standards.